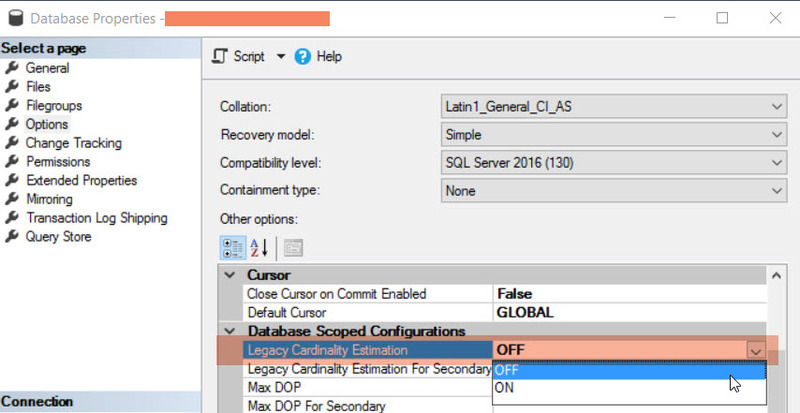 This may be an old topic for many who worked with SQL Server, but, As I was doing a proof of concept on CDC recently for one of my projects, thought of sharing about CDC for those who is yet to explore this feature in SQL Server. What is Change Data Capture? Change Data Capture or CDC in SQL Server is introduced to track the DML changes and records insert/update/delete operations in respective change tables. The source of truth is Transaction Logs in SQL Server. Capture process jobs will be picking up the required table information from the Transaction Log and records in the Change tables. As these jobs are asynchronous, you may see a latency ideally between the commit and population of change tables. However, this has a performance advantages compared to Trigger based solutions. Similarly there is another clean up job to prune the data (older) from the change tables. How do we implement CDC on a database? You need to make sure that the SQLServerAgent is up and running while configuring the CDC, failing on this, it may end up with not creating the respective jobs in the environment. 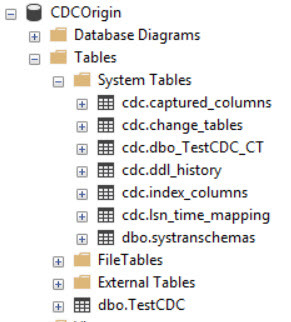 Once, CDC has set up, we can see the CDC specific tables and Changes tables in Object explorer as below. In addition, we can also verify the data changes using below scripts. Precisely, the __$operation will indicate the action on the table as below. Hope you enjoyed this post, and I am excited to write more about CDC with my real client experience in next posts. Until then, happy and continuous learning! 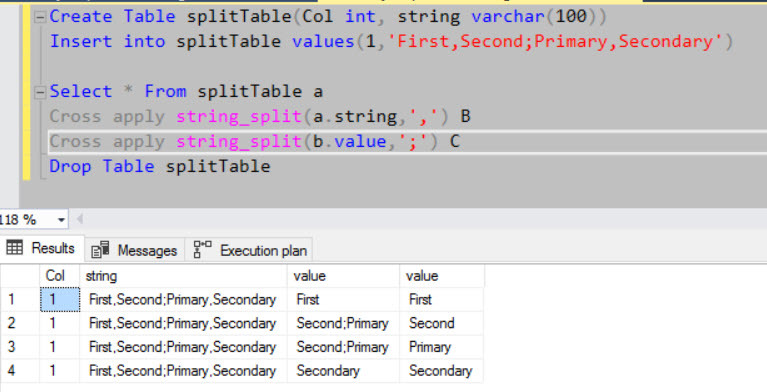 This is quite an old feature, however, a very useful one in SQL Server. Applies to: SQL Server 2005 and above. Why do we need this or its Usages? 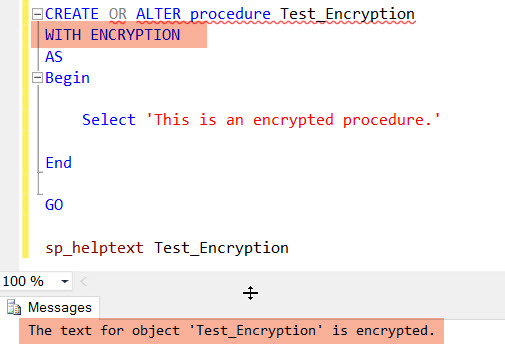 “WITH ENCRYPTION” clause can be used for procedures and function in SQL Server. I personally used this clause in many places, where I wanted to hide my procedure definition. When we need to manage multiple environments and different people have access to environments, its possible, the procedure definition gets changed by others. So, if we need to have to keep the same definition across all environments, we need to get the definition encrypted which would prevent the users to change the definition. Usually, DBAs will use this option to prevent any changes or hide the logic implemented for certain purposes.Sometimes business critical logic are also encrypted using this option to hide from others. The implementation is very simple to provide the clause at the time of creation or alter. If we try to get the definition through SSMS, we will get the below error message. And you can see a lock symbol to identify the encrypted procedures. 1. Once the procedure is encrypted, you will not be ale to see the execution plan for the procedure. 2. It is always important to save the definition safe, you will never be able to retrieve the procedure definition once its encrypted. 3. CLR procedures and CLR User Defined Functions cannot be encrypted. 4. Encrypted procedures or functions cannot be replicated. At times, we may need to understand the size of the tables in a database for various reasons. I often query these details to understand the growth of the data and clean up data for lower environments. Here is a simple script to understand the rows, size of the table in a database. You can further make changes to filter for any tables/group the results based on the indexes/partition etc. How to identify the Max and Min date value in a row in SQL Server? Here is a solution to identify Max and Min date value with the help of CROSS APPLY in SQL Server. Filed under: CROSS APPLY, How to identify the Max and Min date value in a row in SQL Server? We had an immediate requirement to identify process names of process ids in SQL Server. The first reaction to the requirement was to refer the program name. However, program name is customized through application, it was not the expected result. With the help of Powershell script, developed a small script to get the process name as below. Hope, this will be helpful for you in the similar situation.